The Kindergartners in Mrs. Graber & Mrs. Boznos' classes at Oly West have been watching Monarch caterpillars eat and grow! 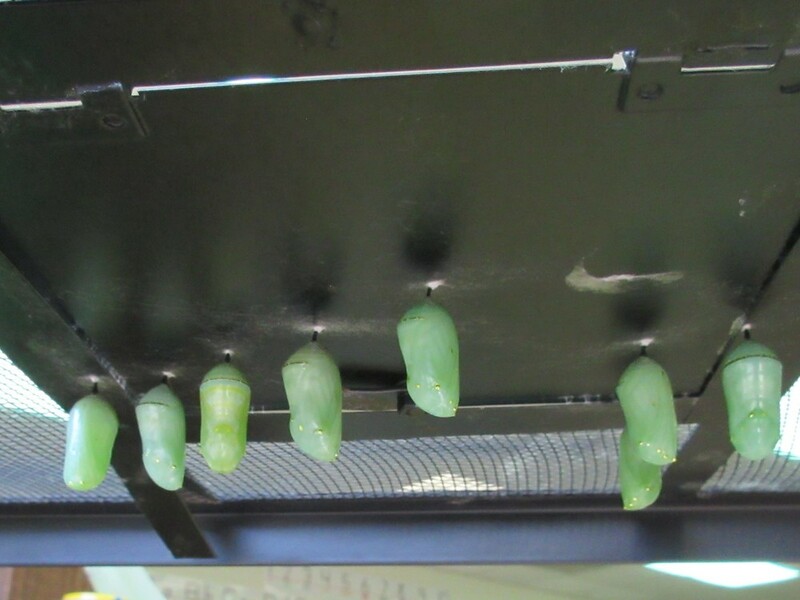 Currently there are 9 chrysalises! The Kindergartners are anxiously awaiting for the butterflies to emerge!